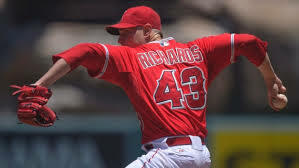 Garrett Richards is the latest player that join the LA Angels, something that is encouraging for the fans of this ambitious franchise. In 2014, they took major league baseball by surprise when they made the playoffs and they now try to build on that momentum and win the World Series. It won’t be easy even with a pair of this magnitude, but spending $3.2 million for this player is only the beginning of what promises to be an ambitious transfer campaign. The Angels made it and avoided the arbitration case by signing him and they have good reasons to be satisfied with this decision as the starting pitcher won 13 decisions last season. He posted on a run average of 2.61, which is pretty impressive and explains why the offer was increased from $2.4 million to $3.8 million. He was one of the contenders for the AL Cy Young trophies, but unfortunately for him he suffered an injury that kept him away from the pitch. As a result of mending his injuries since August 20, he didn’t get the chance to prove his worth but in 2015 he will have yet another opportunity. If the Los Angeles Angels can build on recent results, the starting pitcher should have no problem in winning more decisions. Scoring runs is not something that the Angels are worried about, because they have a couple of prominent sluggers in their formation and a few more are under way. Those who are feeling that the Los Angeles Angels go to an arbitration hearing for the first time since 2011, were surely relieved to see that this was not the case in 2014. Matt Joyce is the only one that could for such an outcome, after he asked for $5.2 million and the Los Angeles Angels only offered $4.2 million. The indoor football league season is about to begin and time is running out for the teams who have high expectations for the upcoming year. In order to play in the United bowl and win the most coveted trophy in indoor football, the teams need to strengthen their starting formation. 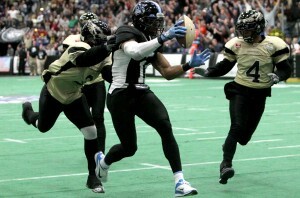 Nebraska Danger is among those who acquired a handful of valuable players during the season break and they recently announced that a couple of key players have been re-signed. The information transpired in the media just a couple of days ago and the complete list of players is now available. They will play the opening game against the Titans, which have also strengthen their roster, which makes it extremely important to be prepared for the difficult match. 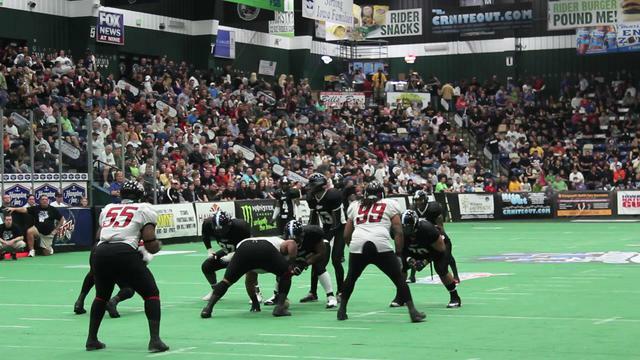 Those who are interested to see what opponents the Titans will be facing in the next couple of weeks, should head on to http://www.cbs2iowa.com/sports/features/cbssports/stories/ifl-titans-release-2015-schedule-4036.shtml. Meanwhile, Nebraska will rely on Harcourt Farquharson and Justin Helwege who used to play for the Colorado Ice, while welcoming back seven players. Darius Savage and Pig Brown are two of the key players that are supposed to propel the Danger to the players and they serve offensive and defensive roles. Without these two guys, the team would’ve been significantly worse, so the management is thrilled to have re-signed both of them on a short notice. Kayne Farquharson, Adrian Davis, O.J. Simpson, Darnell Terrell and Isaiah Scott are the other players that are going to stay with the club, after a dazzling season in 2014. They made a significant contribution, with the former being one of the best offensive players, with 63 receptions and a total of 15 receiving touchdowns. Their contribution to the common cause didn’t go unnoticed and Danger Head Coach Mike Davis was the first to celebrate their performance last season. Harcourt Farquharson and Justin Helwege were also welcomed with open arms by both the fans and their colleagues, after being their rivals last season. They did a fine job for Colorado and they’re expected to perform just as well for Nebraska, with the opening match against the Titans being the first serious test. These new additions are supposed to strengthen the team and help them deal with superior opponents, such as the Sioux Falls, who caused them plenty of headaches over the last couple of years. 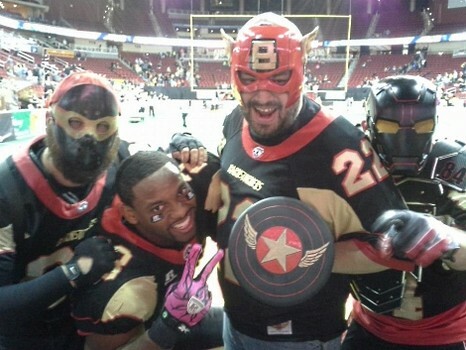 As IFL football teams go, Iowa Barnstormers are not exactly the top favorites to win the trophy at the end of the regular season and even making the playoffs can be difficult. On the bright side, the team has some amazing fans and an intelligent management, which decided to make some investments to gear up for the new season. They played decently last year but they need to step up their game and this requires better players, with some of them being already on their way to Iowa. Joe Brannen who acts as Head Coach and Director of Player Personnel told the media that this year, the team will benefit from the services of Austin Benson, wide receiver Philander Browder II, running back Ranier Rackley, defensive lineman Tim McGee, and offensive lineman Ken Van Heule. All of them have been transferred and will be fit to play in the next couple of games, which means that the Barnstormers should give their opponents a run for their money. Each of these players can brag about some personal accomplishments, but the real challenge is to have them play as a team together. Benson played for the Champion San Angelo Bandits of the Lone Star Football League last season and he did a fine job defensively, completing 7.5 tackles and three forced fumbles, not to mention five interceptions. He had a few problems with these injuries, but he seems to be fit to play and as long as he stays fit, he will be a real asset for the team. Browder completed for the Bemidji Axemen last season and he did it much better than his peers were expecting, especially with him playing for the first year in the IFL. Before joining the league he played for the Golden Tigers and can brag about 75 catches and four touchdowns. Rackley was just as good for Nebraska Danger and he showed his first signs of turning into a complete asset a few years ago while attending the courses of the Georgia Military College. McGee is another worthy addition, also playing for the Champion San Angelo Bandits of the Lone Star Football League after graduating from Memphis University. He is supposed to bolster the defenses of Iowa Barnstormers, something that the team clearly needs after committing many mistakes last season. Last but definitely not least, Van Heule participated in the Champion Professional Indoor Football League where he played for Omaha Beef. The Storm won another United Bowl and they proved beyond reasonable doubt that they are the team to beat right now and a constant favorite to lift the trophy. This prompted their opponents to announce new transfers and Tri-Cities Fever is one of the teams ready to strengthen their lineup. They have recently signed in quarterback Brandyn Londry-Jackson who used to play for the Appalachian State University. He’s expected to be an excellent addition to their effort, given the fact that he was a Walter Payton Award finalist. Not surprisingly, he shares his father’s passion for football, with Greg Jackson being a 3rd round draft pick by the NY Giants, a team that he played for 12 years. The other player that will compete for the Tri-Cities Fever in 2015 is kicker Geoff Boyer who was acquired from Middle Tennessee State. 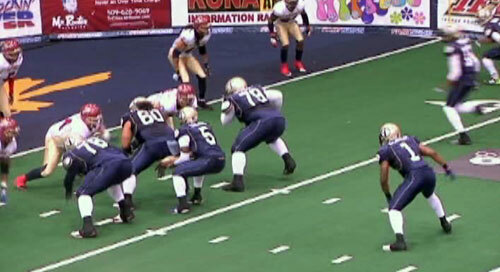 In 2012 he played for the Pittsburgh Power and last year he had a place in the rotation of Tampa Bay Storm. This is one of the most experienced players when it comes to indoor football, which makes him an excellent choice for a team with high expectations this season. Boyer has the uncanny ability to drop kick the ball very accurately and has a reputation for excellent field-goal distance. Furthermore, the team will rely on defensive lineman Aaron Bellazin from the University of North Texas, which proves their commitment to make a deep run this season and even challenge the Storm for the United Bowl. Another interesting addition to their rotation is wide receiver J.D. Woods who used to play for West Virginia and has some NFL experience. There are not many players who can brag about having such credentials, with Woods playing for Pittsburgh Steelers in 2013. Granted he only played for three games, it is still more than many IFL players can say, so his experience and commitment will come in handy. In the days preceding the United Bowl, everyone was wondering whether the Storm would win the trophy for the fourth time in just as many years. The team set a record last season by making it three times in a row and they were credited with the first chance against Nebraska Danger. The fact that they were scheduled to play the last game at the Arena only added pressure on the players, but much to their credit they found a way to shake it off. Scoring 63 points against a tough opponent such as Nebraska is not a small achievement and it made it easier to accept the fact that they allowed 46 points. Storm quarterback Chris Dixon was perhaps the man of the match as he led his teammates to victory and the public was behind them all the time. It rarely happens that minor-league football generates so much enthusiasm, even when we are talking about the most important match of the season. In front of their fans they have a formidable record with 112 victories and just 14 defeats, not to mention that since 2016 they only lost 3/85 games. The playoffs are by far the most difficult matches a team can play and in 21 such games, the Storm didn’t lose even once. It is hard to think of a better way to end an era, which explains why both the fans and players were so enthusiastic after winning the United Bowl, as one can see the YouTube video https://www.youtube.com/watch?v=Pv8bC1r5AU4. The team has an eclectic mix of young and experienced players and even though all played their part, it was the veterans who led the way. They scored most of the points and prevented opponents from doing the same, with Dixon and Terry being so good that they were both named MVPs. The hosts took an early lead and they were 21-0 early in the game, with the visitors fighting an uphill battle that eventually ended in defeat, despite the best efforts to close the gap. The Storm were in command from one end to the other and they were never in danger of allowing Nebraska to overtake them or even tie them. The visitors have a formidable defensive but that wasn’t apparent in the last match, with the Danger allowing a record 63 points. In a nutshell, the hosts emerged victorious, simply because Nebraska defenses were unable to contain Dixon and Terry, while their own offensive players were capable of scoring enough points. By winning the fourth United Bowl, the Storm made history and they are entitled to be optimistic about what the next season will bring. Not surprisingly, the bookmakers are willing to give them the first chance once again and the odds are surprisingly low. It is very hard to go against a team that was so successful over the last couple of years, knowing that they strive to improve all the time and have access to considerable resources. 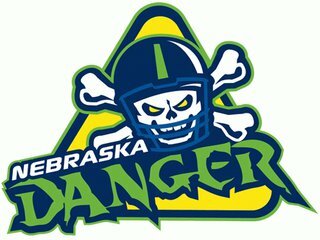 The regular-season has finally ended, with Nebraska Danger being one of the most successful teams and a strong contender for the United Bowl. In order to secure a place in the big final, they had to defeat Colorado Ice on Thursday in a match that they started as favorites, despite disappointing regular-season results. It was Colorado that emerged victorious on both occasions, but despite the fact that they won twice, it was the Danger who won the game that’s really matter. Nebraska was in dire need of a victory and they got it by a wide margin, having scored 45 points while allowing just 15. Now they are patiently waiting for Cedar Rapids and Sioux Falls to complete their own head-to-head fixtures, to get to know the name of their opponents. It is anyone’s guess what will happen in the other playoffs game, given the fact that Cedar Rapids Titans have won the last match between the two teams. Meanwhile, Nebraska can celebrate victory and they have plenty of reasons to be happy about their recent performance, as they scored a total of 191 yards while limiting opponents to just 86. Willi Copeland did his best to help Colorado win the match but he failed to keep them afloat, due to the fact that the hosts played superb defense. Very few expected the Danger to put up 30 points while holding Colorado to just six, but that’s exactly what happened in the first half of the game. Nebraska was in complete control from start to finish, but one of the most important moments was the one in which Phil Welsh failed to convert a field goal. The Danger took the lead early and in a matter of minutes they were up 9-0, further extending the lead in the first quarter to 16-0. It was pretty obvious that the game was turning into a lopsided victory for the hosts and the occasional surges of Colorado didn’t change much, with Nebraska consolidating their advantage. The Ice eventually fond the resources to score 6 points, but by that time they had already allowed 33 and there was nothing left for them to do to claw their way back in the game. Sewell and Piper-Jordan were outstanding and have their team advanced to the title game for the second time in consecutive years. The last time Nebraska made it to the United Bowl they lost to Sioux Falls 43-40, but this time they have a good chance to avenge that defeat. 2014 has been a very difficult year for the Danger, as the team was hit hard by injuries and had to patch the squad up on multiple occasions. They somehow found the strength to overcome all these obstacles and in the end they got exactly where they were supposed to be. Defeating Colorado was an important milestone, but unless they succeed in replicating that performance in the championship match, it will all be in vain. In a matter of days we’ll find out the name of their opponents, but there is a good chance to have a rematch between Nebraska and Sioux Falls. During the season break, Tri-Cities Fever announced their intention to lift the trophy after the first few took them seriously. The acquisition campaign proved that the club was serious and so far the new players have met and even exceed expectations. The team won back-to-back games for the second time in 2014 and has a great chance at winning the third consecutive game. The hot run made it possible to close the gap separating them from leading Colorado, which still holds a narrow advantage over the Tri-Cities Fever. Basically, all they need is to keep up the tempo and hope that their rivals fail in the remaining three games. It is very hard to believe that Colorado will lose all three games and subsequently the lead in their division, but that is not a scenario to rule out completely. The stakes are higher than before, because the two teams are probably going to meet in the playoffs and Tri-Cities Fever will need to play its a-game then. Right now they must take it one step at a time and the first challenge is to defeat Wyoming, a fairly easy task since they lost 10/11 games. The game begins at 7 PM local time and their opponents are unlikely to cause too many headaches, but they still depend on Colorado not to win all remaining games. Speaking of which, the team has picked up a win over Nebraska and scored 41 points, so it comes as no surprise that they are overwhelming favorites to win the regular season. Playing against Wyoming, Green Bay and finishing the regular season with a match in Kennewick sounds great for a team that at the moment seems downright unstoppable. Tri-Cities Fever have a slow start and they are still feeling the consequences, but if they win all remaining games, they can finish with an 8-6 record. The numbers are hardly stellar, but they could be just good enough to eat their passage to the playoffs, and the replay against Wyoming twice. The downside is that they don’t have their fate in their hands, but depend on other teams to do the hard work on their behalf. The head to head record with Wyoming is great, as the Cavalry won just twice against them in the last two seasons and they are going through an awful stretch. The last time the two teams met, the Fever emerged victorious and scored a dazzling 69 points while allowing 26, a game that will be long remembered at Toyota Center. The Cedar Creek Titans invested a lot of time and resources in the preliminary campaign, in an attempt of creating a team capable of competing for the United Bowl. So far, the results are in line with expectations and the fact that they defeated the Revolution by 59 to 57 is yet another proof that they are advancing in the right action. It was the visiting team that played more offensively in the first few minutes of the game and it looked like the Titans would have a hard time defending against Texas. Slowly but surely, the hosts managed to slow down their opponents and after a rather disappointing first-quarter, they were back in control. The two teams alternated offensive plays and each of them scored, before Cedar Creek finally found an opening and scored back-to-back touchdowns, taking a significant lead. Just when it looked like Texas will be left fighting an uphill battle in the second half of the match, Zeke Arevalo scored with just 28 seconds left and the Revolution was back in control. The first half ended with the visitors holding a six-point lead, which was reduced to just three points in the first minutes of the third quarter. This was the tipping point of the match, as the Titans kept pressing their opponents and soon enough they got the lead and found the strength to preserve it throughout the quarter. Texas was behind and with time quickly running out in the last minutes of the game, they took increasingly more chances upfront. Initially, these risks delivered expected results and they tied the Titans, but only for a short while, as their opponents scored two fourth-quarter touchdowns. They had a three point advantage for most of the time and then scored the decisive blow with just 2 min. left, taking a 10 points lead. It didn’t last long either as Clinton Solomon was brilliant offensively and the Revolution was back within striking distance. No team was willing to give up and with less than a minute left in the game, Cedar Creek scored again and the late effort of Will Cole made no difference whatsoever. At the end of the day, it was the Titans that prevailed and the fact that a massive 106 points were scored in the game speaks for itself. Cedar Creek has a formidable defense, but Texas found a way to score 57 points against them, only to be beaten at their own game. The season break saw the Cedar Rapids changing key players and many were wondering whether the new additions will rise to the challenge. The Titans have high expectations for this season and won’t settle for anything less than a United Bowl Championship game. It all began with a defeat, which let the fans down as they were hoping for more following the victory in the exhibitions game. The players rebounded in the very next match and won four games in a row since then, with the most recent victory being earned at the expense of the Bemidji Axemen. The U.S. Cellular Center was full of fans chanting and it looks like they are quite happy with the new arena, especially when wins pile up. The road ahead it long and twisted, so the Titans would be wise to take it one step at a time by winning the fifth match in a row. Stoute is thrilled with his team winning match after match, but has plenty of observations to make regarding the defensive plays. His players were not careful enough and even though they won the match against the Axemen, they committed plenty of errors. 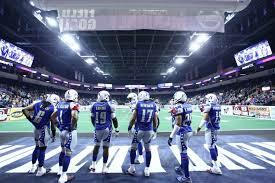 Their opponents were good but there are much better teams in the IFL to worry about and most of them are not as forgiving when their foes play subpar. The fans were particularly happy with how receiver Bryan Pray played after returning from a brief stint with the Phillies. His contribution to the Titans’ offensive was huge but it would be an overstatement to say that he single-handedly defeated the Axemen. Pray finished the game with 7 catches for a total of 66 yards and two of them were made extremely close to the fans, which only added to the excitement. Ohm needs to build on his recent performance which was slightly below expectations and stay focused throughout the game. He was to blame for some of the errors committed in the offensive end, but his teammates were also shaky at times. The next stop will pit the Titans against the Tri-Cities Fever and they will be without Xzavie Jackson who will watch the match from the stands due to an injury. There are other fitness concerns in their lineup, but none of them serious enough as to ruin the mood or to frighten the red-hot Titans. They will have a week off after this match, to regain their strength and hopefully all key players will shake off injuries and be ready for the big games. Texas Revolution and Sioux Falls are the two teams that will test the Titans’ resilience and challenge their winning streak. Cedar Rapids now have a permanent home at US Cellular Center and they started the 2014 campaign on the right foot. The first scheduled game for this year was against Bemidji Axemen, an exhibition match that the hosts one by 22 points to 11. This is the first time the Cedar Rapids played at the new arena, which was in renovations for a long period of time. The number of fans that attended the fixture was impressive and the fact that the home team succeeded in winning by such a convincing difference, suggests that attendance will remain high throughout the season. General manager and co-owner Chris Kokalis was particularly happy with the result, as this victory is a good proof that the recent acquisition campaign paid off. As far as the fans are concerned, the differences between the Ice Arena they were so used to and the US Cellular Center are significant and not all of them for the better. It might take a while for them to accommodate the new stadium, but it makes it is easier to make the transition when their team is riding a successful streak. Perhaps the best-selling point of the previous arena is that the good seats were conveniently located close to the field, whereas at the U.S. Cellular Center, they are slightly behind. When asked about what their opinion was on the fact that the team plays in Aviva Stadium, the fans had mixed feelings and so did the players. On one hand, it is nice to have almost 5000 people cheering in the stands, on the other hand, it is always difficult to play on a new venue. The exhibition served the purpose of helping the players accommodate to their new home arena, a few days before the official start of the season. 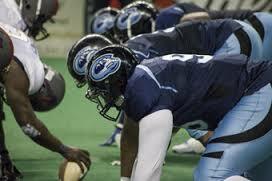 The Cedar Rapids will be facing tough opponents in 2014 and will need every help they can get. The first major obstacle they will have to overcome is winning in Texas against the Revolution, an opponent that is hard to defeat when it has home pitch advantage. The Rapids will have to play the same offensive football that served them well against the Axemen, but the biggest challenge will be to prevent the hosts from scoring early in the game. The Bemidji Axemen didn’t cause them too many problems in their own half, but Texas Revolution is an opponent of an entirely different caliber.